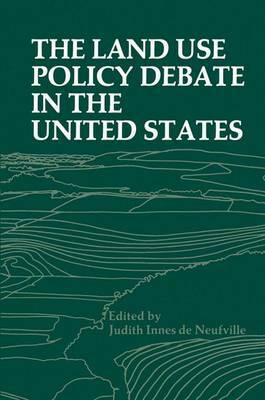 Much of the preparation of this book has been generously supported by the Lincoln Institute of Land Policy, Cambridge, Massachusetts. It evolved from a colloquium held in October 1977, under the sponsorship of the Lincoln Institute. The three-day symposium entitled "Land Policy: Making the Value Choices" involved the preparation of major papers and formal discussions, most of which appear here in considerably revised form, along with additional pieces commis- sioned later. The colloquium was an idea jointly conceived by myself and Edward Wood, a colleague at the time in the Tufts University Program in Urban Social and Environmental Policy. We were concerned about two major limitations in the literature and debates over land use. On the one hand, there was little explicit recognition of the latent values that motivated land use policy. On the other, there was no common forum where people from the different land use fields could discuss the issues and learn from one another. A small group of about two dozen people was invited to the colloquium. Each member was a leading spokesman for a different perspective and area of expertise. All participated formally in some fashion. All the papers were written expressly for the col- loquium, with the exception of Ann Strong's, which was a keynote address to the American Society of Planning Officials earlier in the year. None of the papers has been published elsewhere.